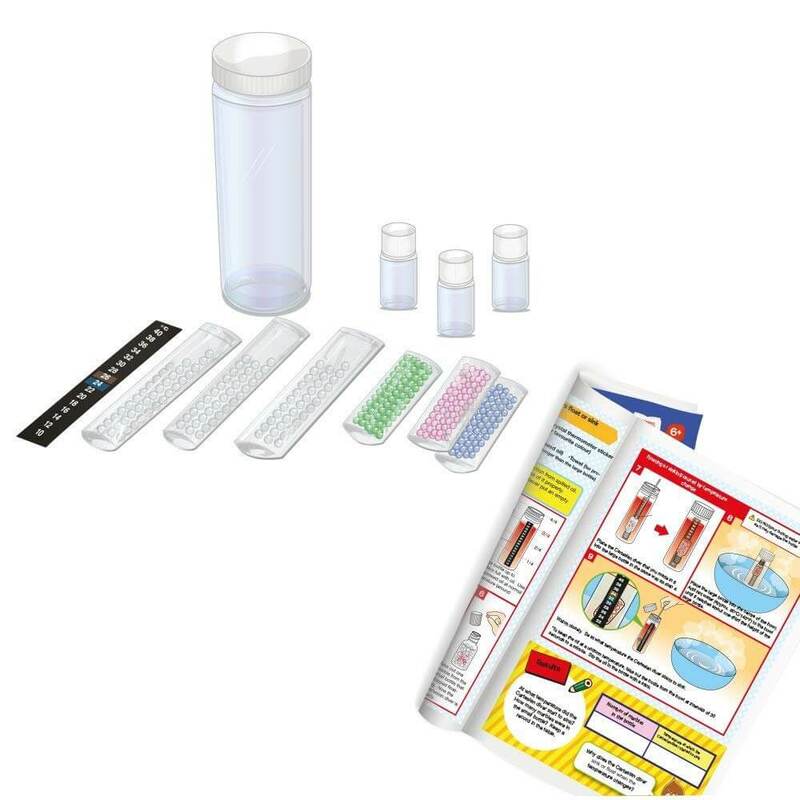 The perfect gift for any budding scientist! In this interactive science experiment kit, you can learn about physics as you make your very own Galileo Thermometer! 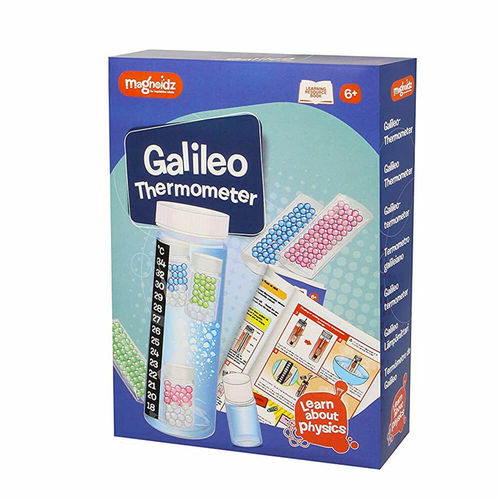 A Galileo Thermometer is a device that measures air temperature by using small bottles which float or sink in a liquid such as oil or water. 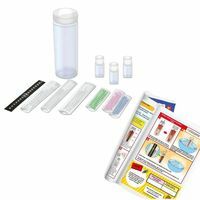 Learn how your thermometer works by performing temperature, volume and density experiments with the objects included in your kit! You may require some everyday items from home to conduct some experiments, such as a boiled egg, ice, cooking oil and a towel. Your thermometer will measure 23cm in height.